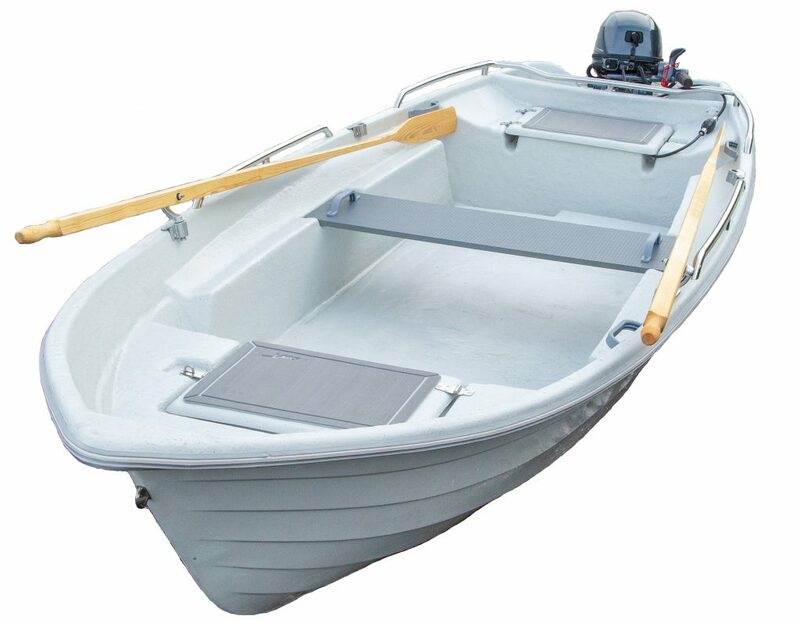 The Suvi 450 is a self-draining rowing motor boat for both cottage and fishing use. Because of its self-draining capability, it is easy to keep the boat afloat at a dock, for example. Because they share the same hull, the boat has the same well-known driving characteristics as the Suvi 444 model. The detachable central bench makes it easy to move around on the boat and to transport long goods. Two locking storage compartments. Suitable for a short-shaft engine. Power 1 pers. 1 pers.